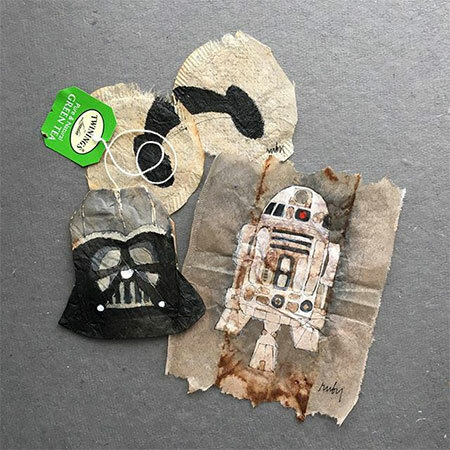 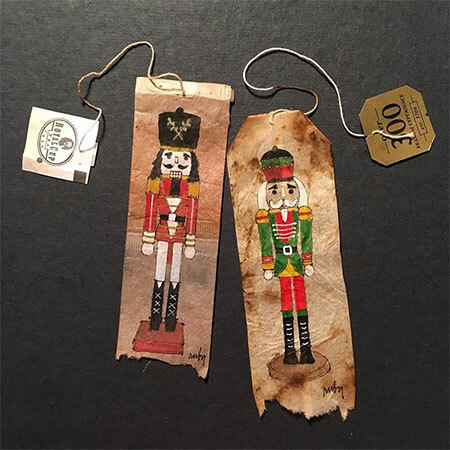 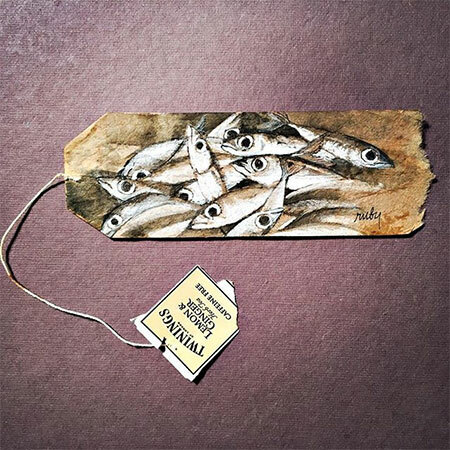 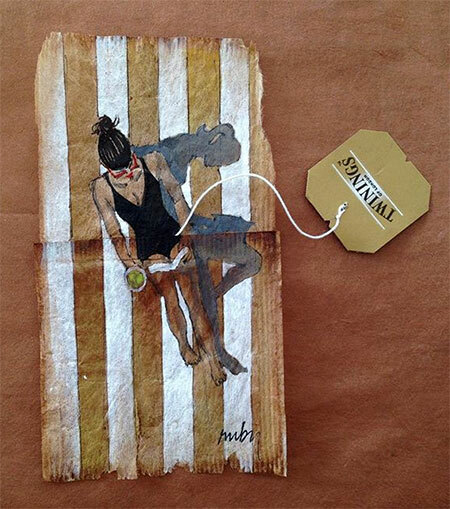 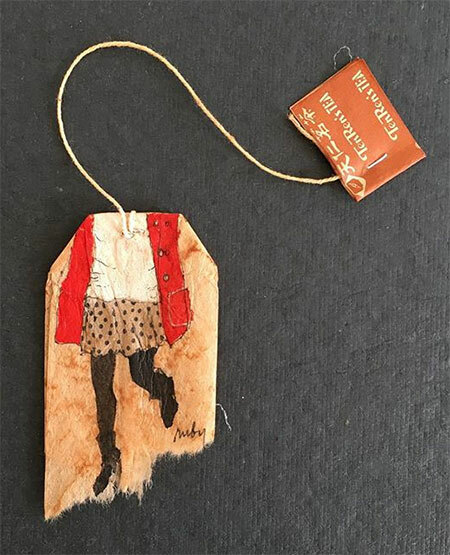 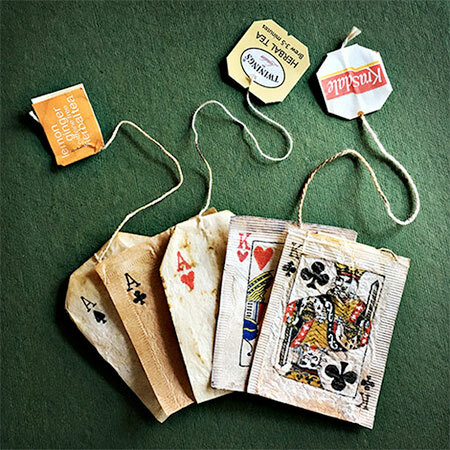 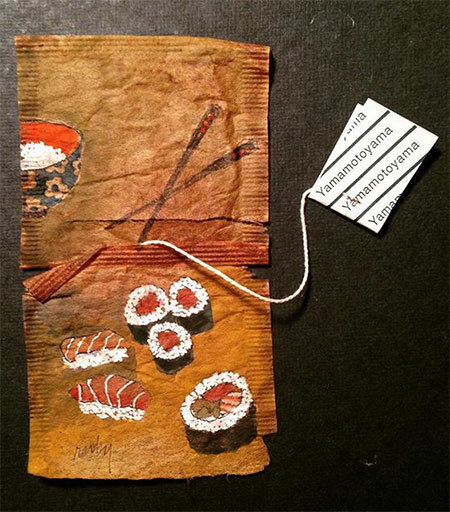 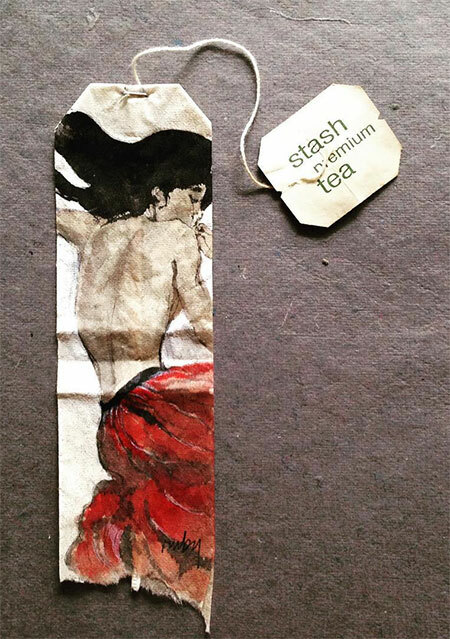 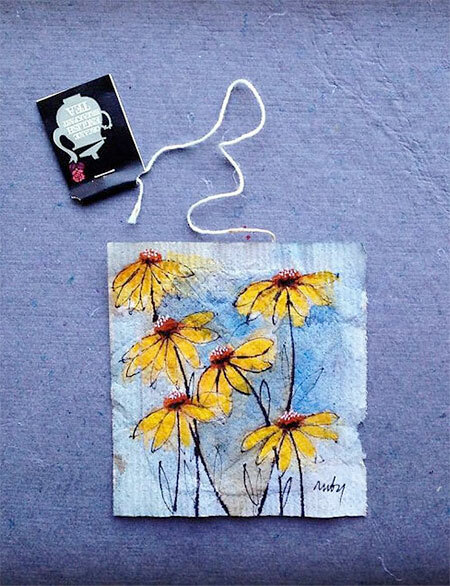 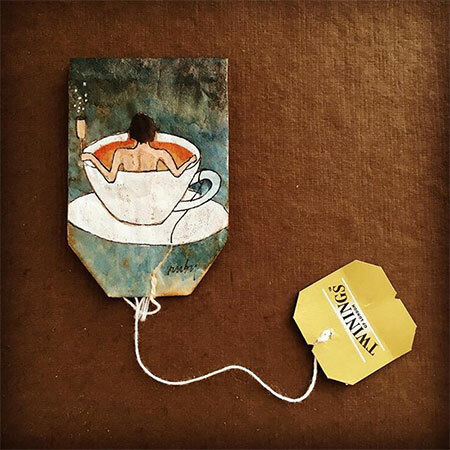 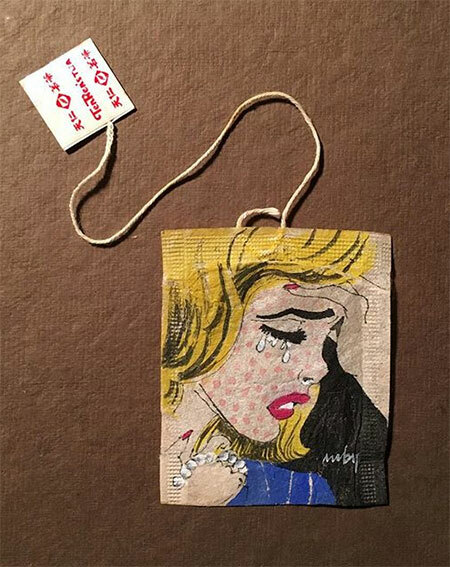 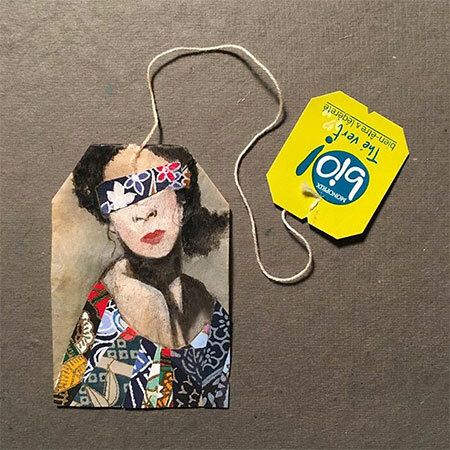 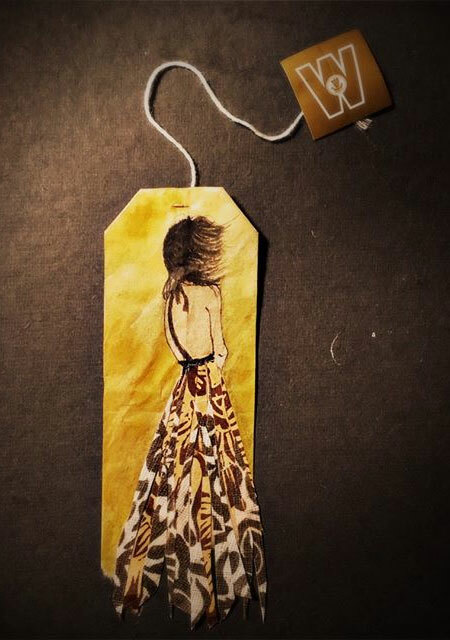 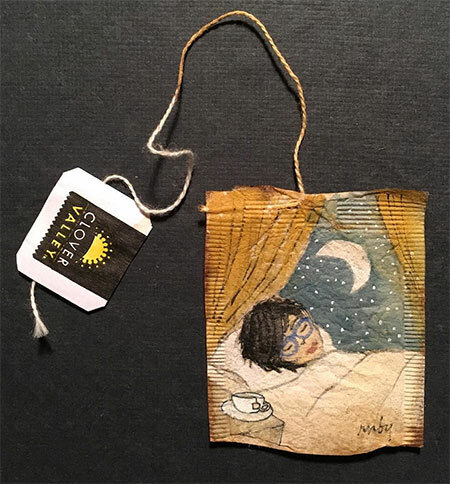 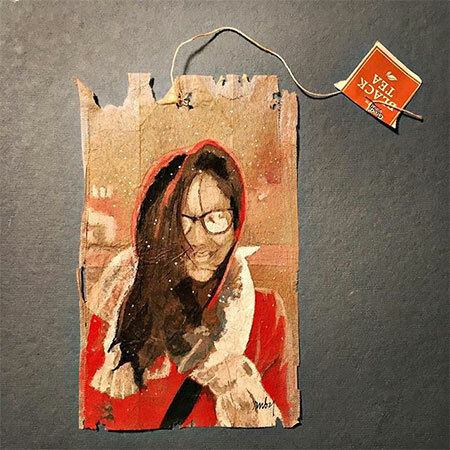 Miniature artworks painted on used tea bags by talented artist Ruby Silvious. 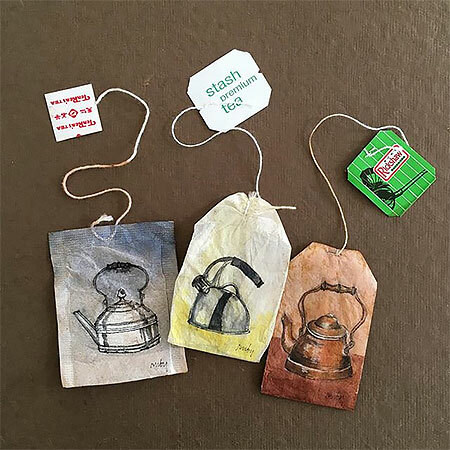 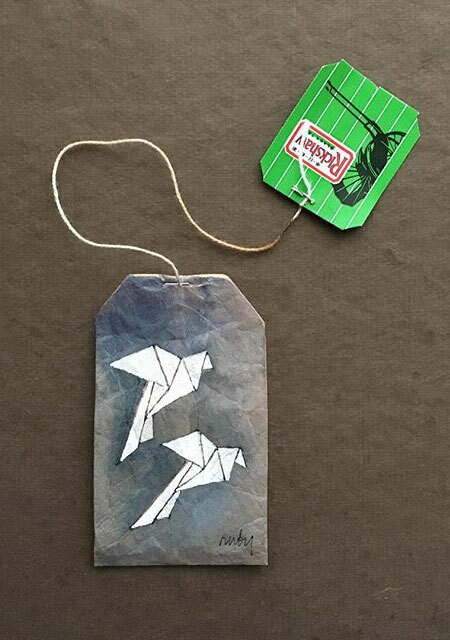 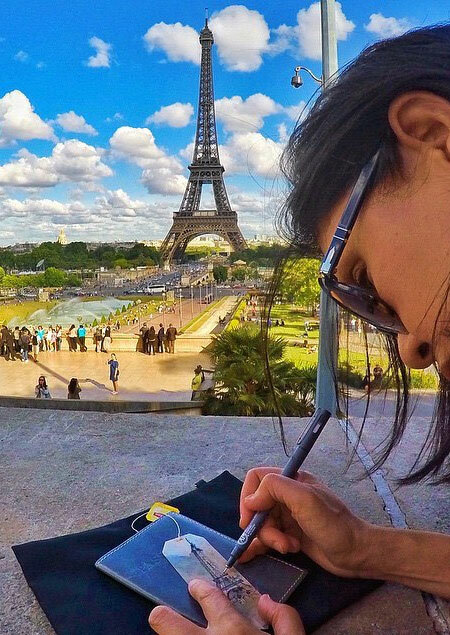 Recycled tea bag art will inspired you to draw the next time you drink tea. 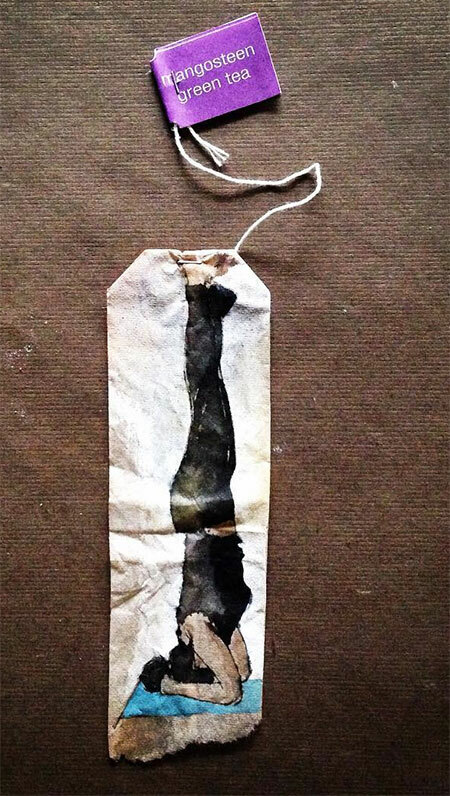 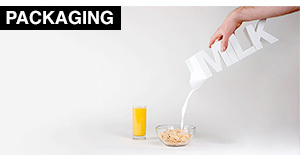 Its a good thing that they are already “used” tea bags. 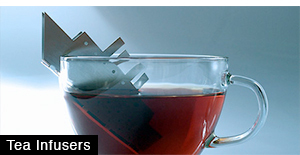 Otherwise, ink will contaminate our tea when we drink. 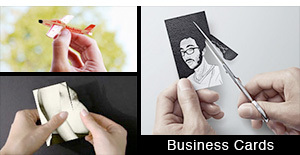 The last picture is fantastic! 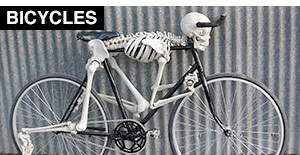 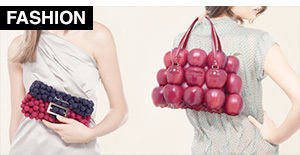 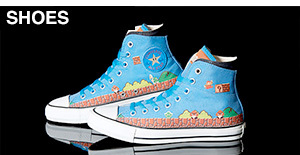 Wow these are neat. 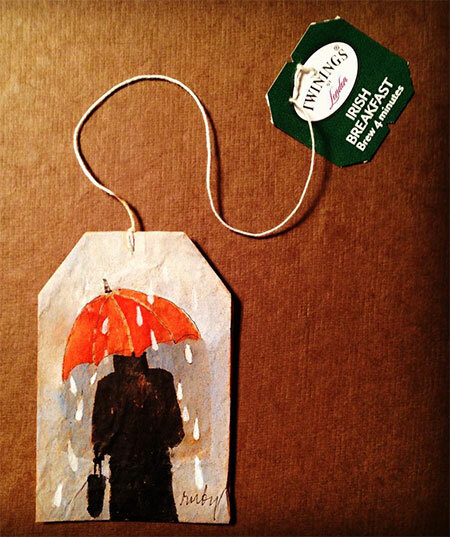 What a great idea and why didn’t I think of it considering I am a tea lover. 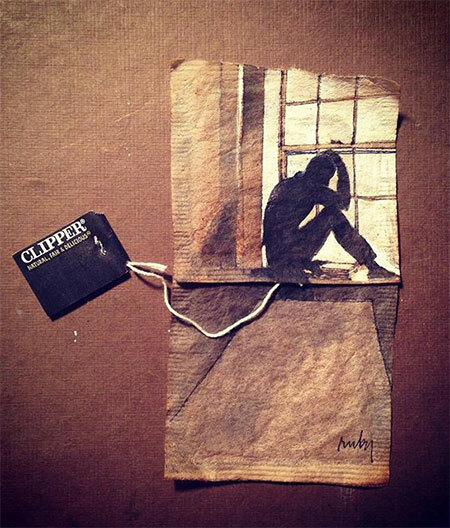 Great work artists!